JD Joyce Some roosters still around. 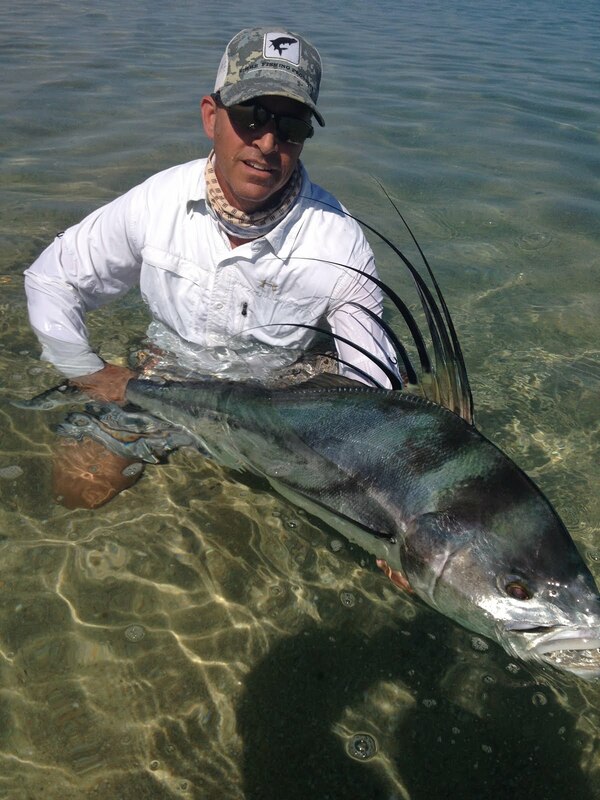 July 8th-Jeff Snyder with his first roosterfish on the fly. Offshore marlin and dorado fishing was similar to the inshore fishing, but a little more dependable. We are now in the transition period, when we start to get our warmer water move in, and with the warmer water comes blue marlin, sailfish, striped marlin, and yellowfin tuna. 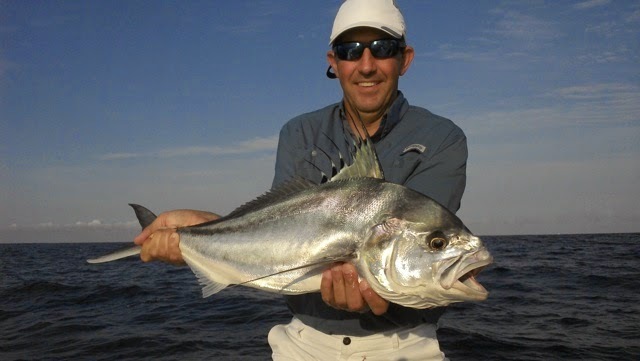 as we move into August expect the roosterfishing to slow down quite a bit, but if you do catch a rooster, they are usually huge fish. This is Sammy's 5th or 6th year with me and he is an amazing rooster fisherman as well as a all around great guy Way to Sammy! Mina, Alex, John and Natan Folkner Good fishing for giant roosterfish! Inshore fishing is still good for big roosters and if your lucky snappers.